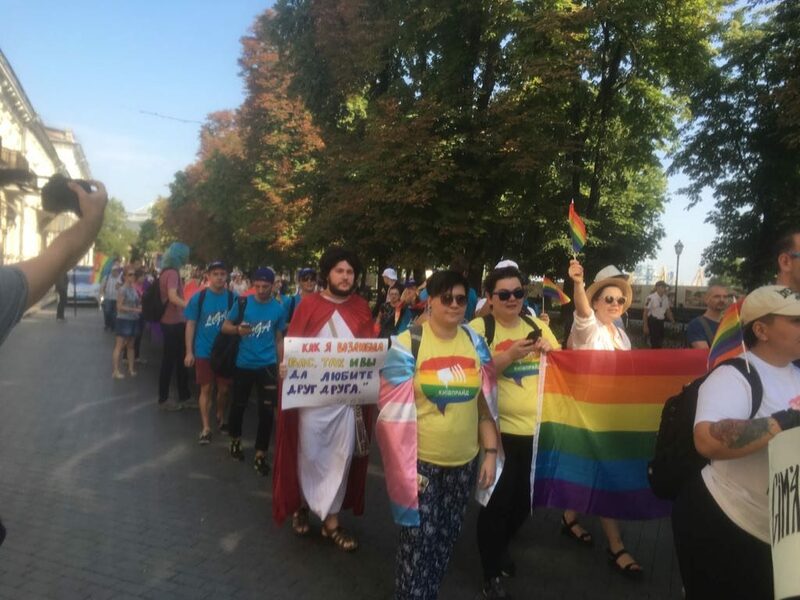 Over 150 LGBTI-people and allies held a Pride March in Odesa, the biggest city in the South of Ukraine. Munich made its point. 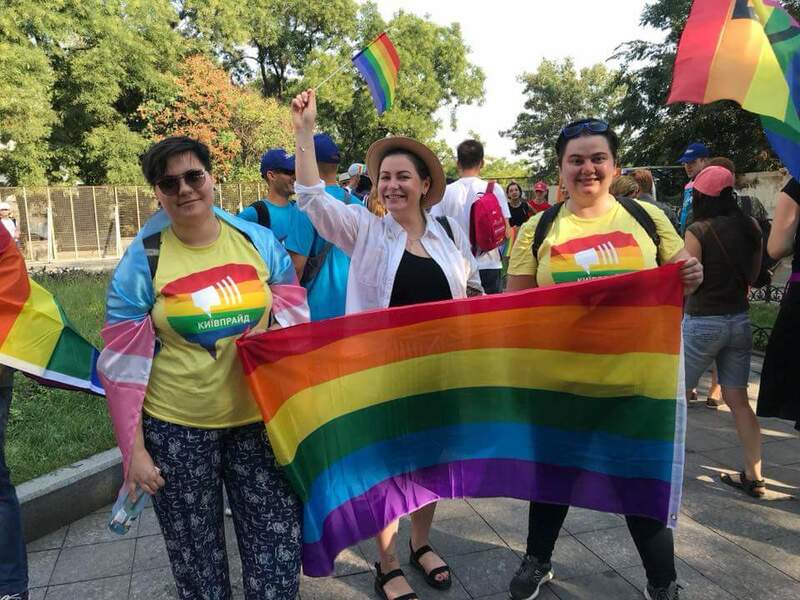 Read the report from Olena Semenova, member of Munich Kyiv Queer, press spokesperson for OdesaPride. The motto of OdesaPride 2018 is, “We Value Our Families”. The participants of the March went out onto the street with posters such as, “Family is where love is”, “All different all equal”, “Ukraine is a country of free people, Ukraine is a country of equal people”. The Munich Kyiv Queer Group, based in Munich, Germany, provided great institutional and political support for the event. The group that was created in 2012, to build a bridge between Ukrainian and German LGBTI-communities, sent several representatives to Odesa to take part in the Festival of Queer Culture OdesaPride 2018. Munich based friends of Ukrainians conducted creative workshops, street actions and consultations for the community. Furthermore, during the meeting with high officials of Odesa City Council, the Munich delegation discussed important issues of rights and freedoms for LGBTI-people in the region. Documenting the visit to Ukraine, Munich activists created a blog on the Festival of Queer Culture OdesaPride 2018 (in German). The Munich Kyiv Queer group was the first international organization that supported OdesaPride back in 2016. 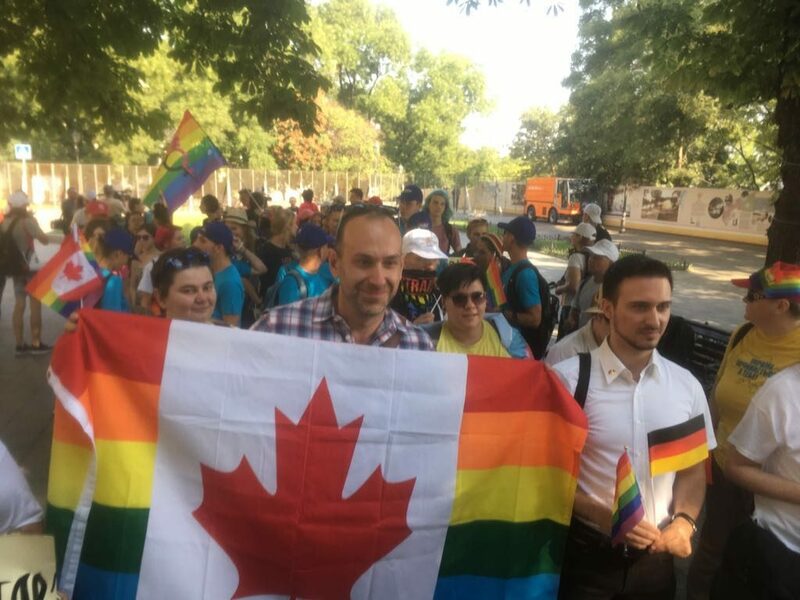 This year the event, that was organized by local activists in partnership with the NGO Gay Alliance Ukraine, LGBT-association LIGA, and Human Rights Defenders Bureau WE ARE, was supported as well by the Canadian Fund for local initiatives. The March started at 9 a.m., on one of the central streets in Odesa and finished near the City Hall. Here, the organizers provided a stage where participants and guests of the Pride greeted the March surrounded, by a few hundred police for protection. Later, participants were evacuated, by buses, to safe places around the city. The Pride March was originally planned for Sunday, as a final event of the fourth Festival of Queer Culture OdesaPride 2018. However, one day before the march police received insider information about a huge, violent protest that far-right, radical extremists prepared for the Pride participants. Police recommended that the organizers hold the march on Saturday and they followed this safety measure despite that it led to lower number of participants than was previously anticipated. Despite these precautions, some representatives of right radical groups tried to protest the march and to intrude upon the pride crowd shouting “LGBT out!”. Two of them were arrested after attacking and beating a pride participant. 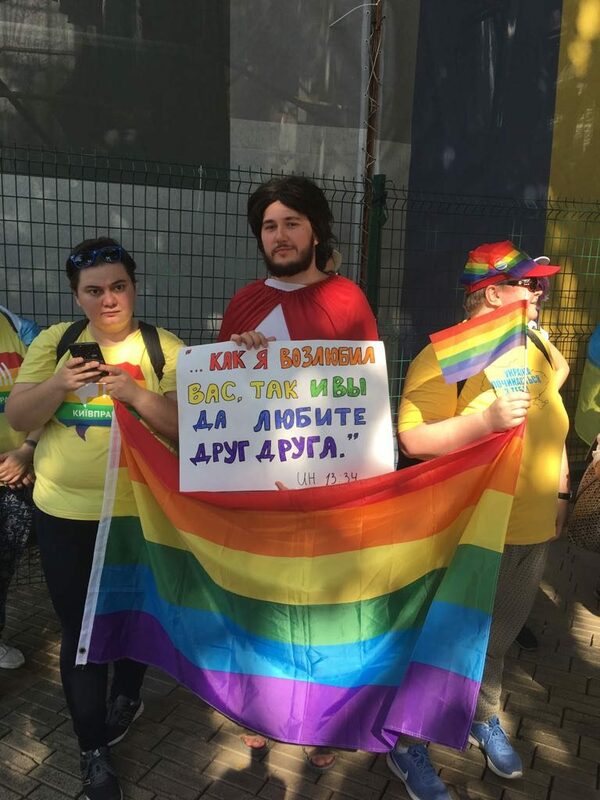 Representatives of the orthodox church came with loud speakers to shame the community with the “Sodom sin”, but people reminded them that God is Love, first of all.